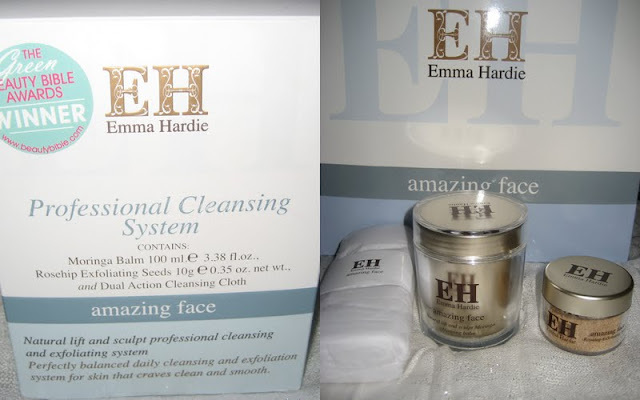 Almost three weeks ago, I was fortunate enough to meet skincare expert and facialist Emma Hardie and was even more fortunate to be given some of the products to try out. So I thought I'd give you my thoughts on some of the products as it launches in Arnotts today. Today I'll be talking about the Professional Cleansing System. For €49.99 you get 100 ml of the Moringa Balm, 10 g of the Rosehip Exfoliating Seeds and one of the dual sided micro fibre cloths. The great thing about this set is that you can customize it to your needs. You can cleanse, exfoliate, use as a mask and use as a rescue balm, all in this wee set! The famous Moringa balm "contains moringa seed extract, wild sea fennel and vitamin C which balance, purify and help minimise the appearance of open pores. Orange, neroli and mandarin extracts rejuvenate and revitalise the skin. Jasmine, cedarwood and rose helps recondition dull, dry, dehydrated and mature skins." It smells absolutely divine and I have often found myself standing, pot in hand, breathing in the scent. The consistency is that of a thicker version of Vaseline and starts to melt on contact with the heat of your skin. I've been using it to take off my make up in the evenings and here's how I do it. 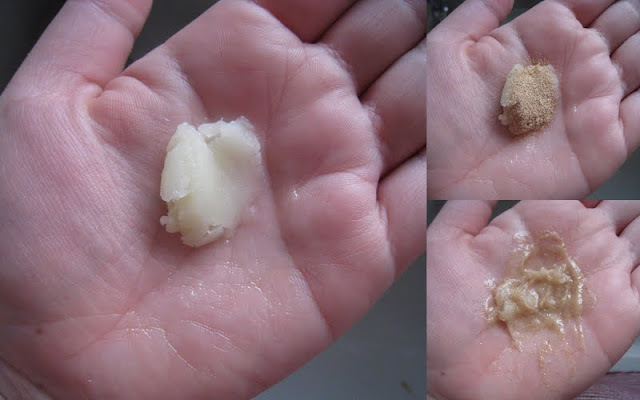 I scoop some out of the pot and place it in the palm of my hands and add a few drops of water and smush it around until it creates a milky paste. I apply this concoction all over my face and eyes, rubbing it in along the way until I feel it has dissolved my make up. If I feel that the paste is a bit dry, I wet my hands and add more water, emulsifying it even more. I use the double sided cleansing cloth to remove the balm. The cloth is truly brilliant and I can't wait to get more of them. 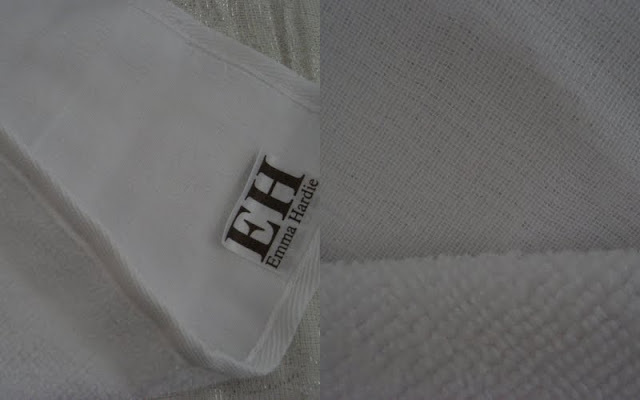 I love the micro fibre side for removing the balm over the muslin side. I wet the cloth under warm water, ring out and get wiping. The micro fibre side grips on to the skin, pulling the make up and balm off your skin. It's a strange sensation to describe, but you can feel that there's more friction than from a normal face cloth. 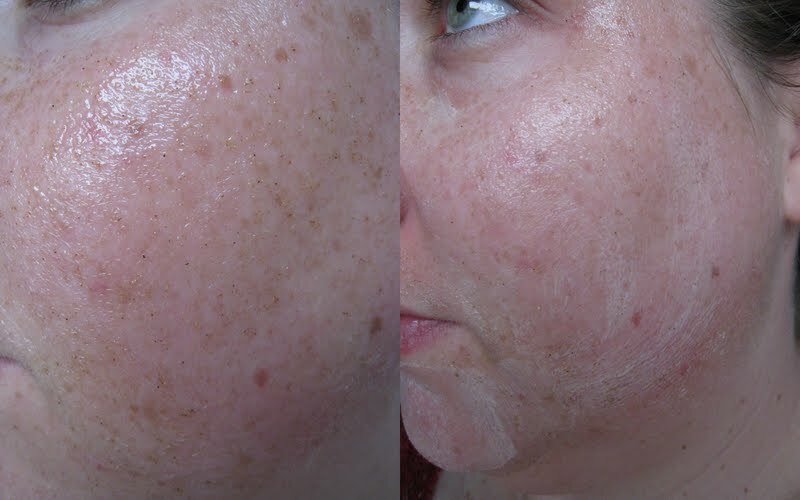 There is no rubbing, scrubbing or pulling on the skin, the makeup comes right off leaving soft, smooth skin. There's no residue left on the skin at all. The next part of the Professional Cleansing System is the exfoliation and this is my absolute favourite thing about this set. I love exfoliating my skin and have tried dozens of them over the years. It is going to take a magnificent product to knock this one from my Holy Grail Exfoliator pedastal. It is amazeballs. I start off again with a little scoop of the Moringa balm and I shake some of the Aromatherapy Infused Rosehip Exfoliating Seeds (full title there!) onto the balm and you guessed it, we make a paste. The Rosehip Seeds are so finely milled that they feel like grains of sand.. I cannot say enough good things about this scrub. If it feels bit dry on my skin, I add water to it as you can see on the right. It loosens it and makes it easier to scrub away all of the dead skin cells leaving me with incredibly smooth skin. Like no other scrub I've ever used. I have a small patch on one cheek that has what looks like clogged pores and always feels rough. Any time I use this scrub, I'm dumbstruck by how smooth my skin feels and it takes everything I have not to ask people to stroke my face. Ah-maz-ing. Emma said that if people find this too abrasive on the skin they can leave it on as a mask so I will get Joanne to give this a go as she has dry sensitive skin. So ladies, would I recommend this? Hell yes. Would I purchase myself? I will absolutely 100% purchase this and do you want to know how much I love it? We will be buying one of these sets to give away as part of our 1st birthday here at Lovely Girlie Bits!! Details will be revealed later this week, so stay tuned for that and make sure you're a follower of the blog! Thanks for making it through this massive post! I have two other products to review from the range but this post was long enough without getting into them so keep an eye out for those soon. I was looking forward to hearing how you'd get on with this. Sounds like a great product especially the the rosehip seeds. Thanks for this review. Will try to look for this in our local stores. Lovely Girlie Bits is in U Magazine! I'm baaaaaaaaack and look what I bought! CLOSED *Giveaway* - Rose Print Scarf!! What came to Spain with me this time! Favourite Five posts of the week!